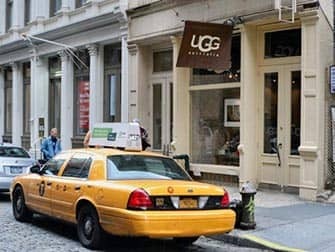 Many people want to visit one of the UGG Stores in New York during their city trip. There are several UGG Stores in Manhattan, a flagship store and two smaller concept stores. The flagship store on Madison Avenue and the concept store in SoHo are definitely worth visiting. The flagship store has a very large collection, but it is crowded. The smaller concept store in SoHo is a little less crowded. The store offers a smaller collection and there are less sizes available than at the flagship store, but their collection is still interesting and they have unique UGGs you won’t find elsewhere. 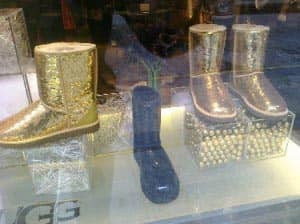 The prices don’t differ much from other shops that sell UGGs. Eric’s Tip: If you’re looking for bargains, you should definitely consider spending a day at Woodbury Common, one of the largest outlet centres in the world. There’s also an UGG Outlet Store at Woodbury.